2017 – 2018 PCA Boys & Girls JV-V Basketball Season is Here! 2017-2018 PCA Boys & Girls JV-V Basketball Season is Here! Register now and don’t miss out. **Please have an electronic file of Birth Certificate and document containing the academic classes taken by your young adult when registering. This fee covers your entire family for the entire school year for every sport played. Returning players with both sets of uniforms in very good condition do not need to pay this fee. Two options are available, making entire payment upfront or in three installments. Practices: For boy’s basketball, starting Sept. 8th, practices will be Monday and Friday from 1:30 p.m. – 3:30 p.m. at Northshore Sportsplex in Mandeville off of Hwy 59 and on Tuesday evenings from 7:00 p.m. to 9:00 p.m. at Trinity Lutheran Church in Covington off of Hwy 21. For girl’s basketball, practices will be Monday and Friday from 1:00 p.m. -2:30 p.m. at Coquille and on Wednesday from 1:00 p.m. – 2:30 p.m. at Northshore Sportsplex. The practice schedule is subject to change more during volleyball season. 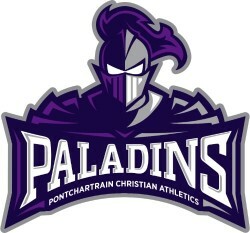 Basketball Training: Jessie Johnson has been retained as the PCA boys’ team trainer. Jessie started working with the boys this summer at our camp, has trained others in basketball over the past couple of years, and played basketball at Mandeville High School. Games: Local home games will be at the John Davis Gym in Lacombe and away games will require various amounts of travel. We have up to six tournaments that we’ll be playing in that requires travel to north Louisiana, Mississippi, Texas, and Missouri. Volunteers: Anyone interested in helping in any capacity with the teams, please let Frank, Eric, or Mary know. We need people willing to keep books and work the score tables for home games among other things. Fundraising: We will be doing various fundraising activities to cover the cost of playing in the tournaments and hopefully to defer some of the travel costs. PCA – WE’ RE YOUR HOME TEAM! No Replies to "2017 - 2018 PCA Boys & Girls JV-V Basketball Season is Here!"